Internet connected electronic paper truck displays powered by Visionect are taking on European roads, providing real-time, location targeted advertising and much more. Think GPS-triggered information on traffic jams ahead, the distance to the next gas station, and even notices about changes in road signalization. Truckside ads generate 2.5 times more attention than static billboards, with an advertisement on a truck or trailer resulting in between 30,000 to 70,000 daily impressions. With such impact, it’s a shame that until now fleet media has been limited to printed or painted static images, or to clunky, power-hungry screens that drain the battery. 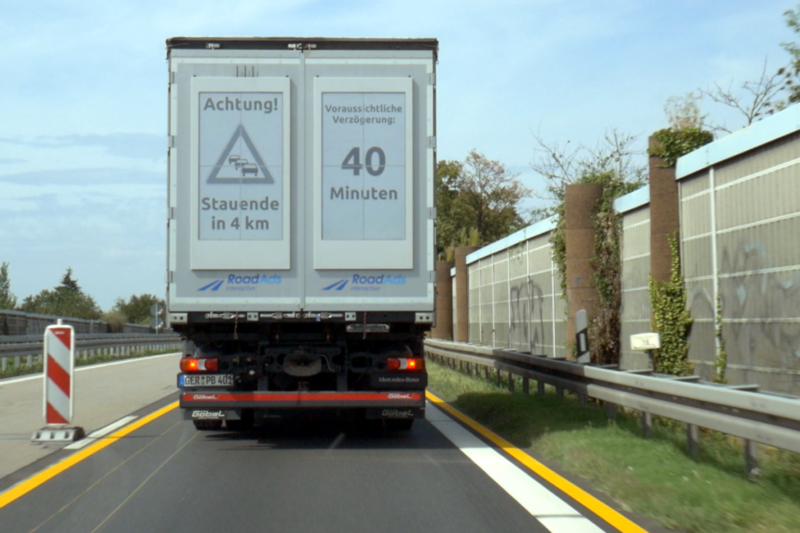 Electronic paper truck displays show information-specific and actionable ads in real time, and can also provide drivers with GPS-triggered notifications on traffic conditions, road safety and more. 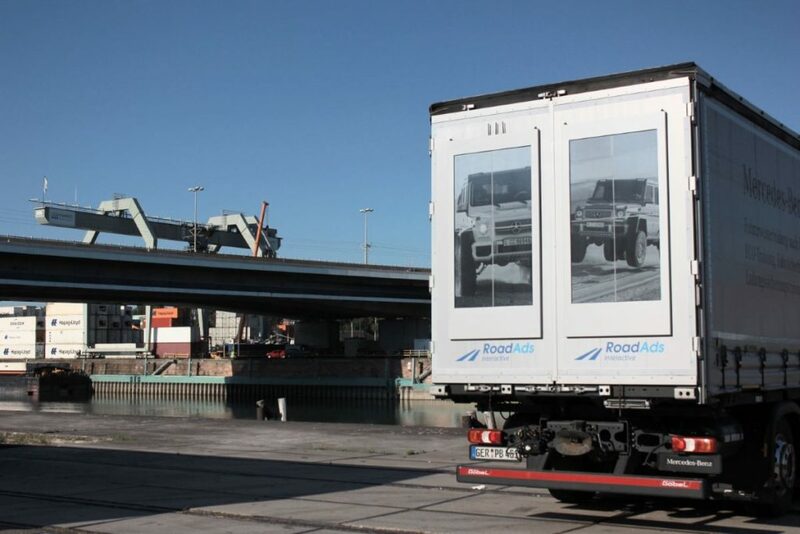 RoadAds interactive, a German company in partnership with Visionect, is determined to remedy the situation by changing the face of vehicular media with location-specific, instantly updatable electronic paper billboards on trucks. The technology can be used to display real-time ads that are actionable, such as the next turn to take to reach a nearby restaurant or local business, and can also provide drivers with GPS-triggered notifications on traffic conditions, road safety and more. There are about 2.8 million trucks in Germany alone. It would be a perfect advertising space if not for the limitations of the printed ad. Widmann’s idea was to bypass the weaknesses of conventional print advertising – long lead time due to installation, content that goes unchanged for months – and create a solution that would be adjustable to location and specific trigger events. Pursuing a real-time moving billboard and supported by Mercedes-Benz, RoadAds began developing a prototype. As much as 94% of people exposed to a mobile billboard recalled seing it, with a single truckside advertisment generating between 30,000 to 70,000 daily impressions. Capitalizing on this amazing reach are electronic paper truck displays, capable of refreshing content in real time and in reaction to geographical location or specific events. Traditional on-vehicle digital displays like LCD or LED required excessive amounts of energy to run, putting significant strain on the truck’s battery and causing the display to overheat, made worse in direct sunlight. Electronic paper was chosen as the technology on which to realize the project because it is extremely energy efficient and features paperlike readability. In order to be seen clearly LCD and LED displays also had to be backlit, emitting high levels of light pollution. As such, any of these screens mounted on moving vehicles are not in line with European legislation on motor vehicle lighting devices and are not allowed in traffic. 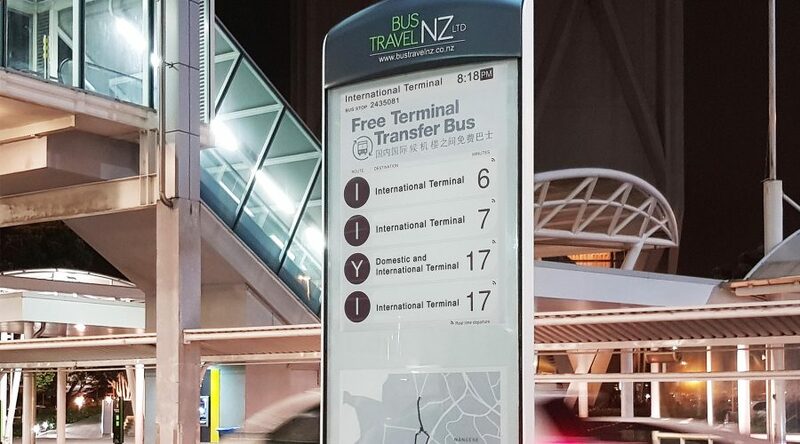 Looking for a solution both in terms of visibility and power consumption, RoadAds partnered with Visionect, the global leader in low-power electronic paper signage installations. Electronic paper technology was chosen because it uses energy only when changing content and features paperlike readability in direct sunlight, foregoing the need for backlights. Truck billboards developed on electronic paper have paperlike readability and emit no light pollution, making them compliant with EU legislation. Each billboard is equipped with GPS, 4G and Wi-Fi modules, resulting in the first instance of GPS-based, real-time advertisements in traffic. RoadAds combined four 32-inch Visionect-powered E Ink® displays in tiled billboards mounted at the rear of a truck. Visionect hardware and software enable the display module – each of its tiled screens with a resolution of 1440 x 2560 pixels and 16-level grayscale – to refresh content simultaneously, drawing a 3 by 5ft image. RoadAds partnered with Visionect to create a dust resistant and fully waterproof truck display which refreshes in real-time. Running on electricity from the car battery, the electronic paper truck display can be easily mounted on almost any truck and can only be removed with access to the vehicle itself. The display enclosure is compliant with the IP65 standard, making it dust resistant and fully waterproof, suitable even for the carwash. A truck equipped with an electronic paper truck display can be located to within a 16ft accuracy, allowing for location-based screen updates via Wi-Fi or 4G. Each electronic paper billboard is dust resistant and waterproof. Each electronic paper truck display is equipped with GPS, 4G and Wi-Fi modules to create location-targeted messages delivered in the language of choice. Each electronic paper truck display is also equipped with GPS, 4G and Wi-Fi modules. 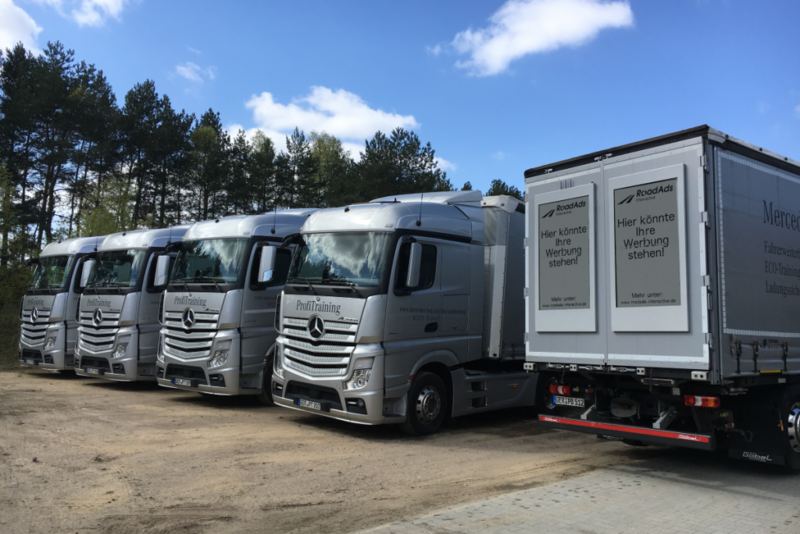 With the help of the RoadAds centralized online platform, a truck’s location can be determined to within a 16ft accuracy and the screen content adapted to create location-targeted messages delivered in the language of choice. If updating via 4G, the billboard connects to a server to receive new content, with a subset of all possible advertisements always pre-buffered on the billboard itself in case of mobile network unavailability. When connecting over Wi-Fi, the billboard is controlled locally, on any mobile device. “Warning! Traffic jam in 4km. Estimated time of delay: 40 minutes” Electronic paper truck displays can deliver much more than just simple advertising. Look for location-based information about on-site traffic conditions, road safety and more, as well as nearby businesses such as gas stops and restaurants. With its perfect readability, low setup time and responsive updates, the electronic paper truck billboard is a highly scalable advertising solution. It’s applicability, however, does not lie in simple advertising alone. The electronic paper truck display not only delivers ads for businesses and services available nearby, but also provides location-triggered real-time notifications about traffic conditions, road safety, weather warnings and more. Location-based and event-triggered messaging on the road not only deliver ads for businesses and services available nearby, but also real-time notifications about traffic conditions, road safety, weather warnings and more. Electronic paper truck displays can warn other drivers of traffic jams or accidents ahead, of diminished road visibility, can communicate the distance to the next gas station, the next turn to take to make it to the nearest McDonalds, and even warn of changes in road signals. Now accepting pre-orders, the first 1000 electronic paper truck displays are expected to become commercially available in June 2017, with five trucks hitting the roads this November as part of a pilot trial. 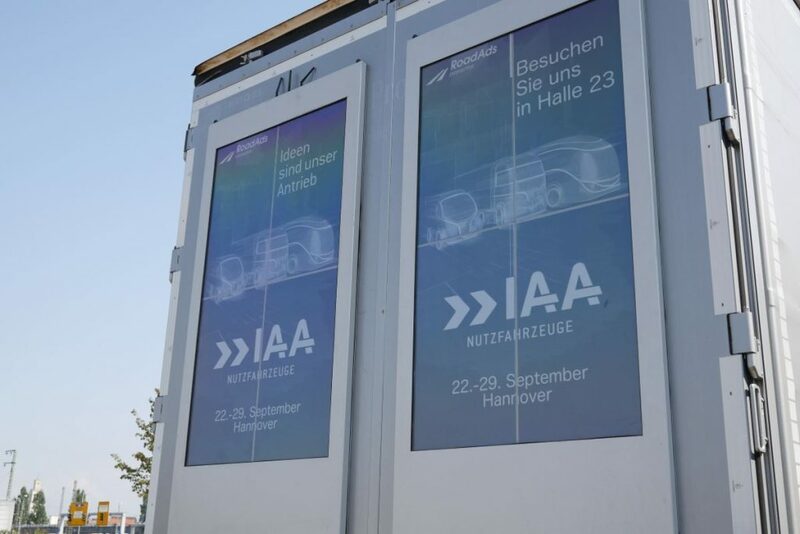 Until then you can see the e-paper billboards in action at the IAA Commercial Vehicles conference, September 22–29 in Hannover, Germany.